I am chair dancing today because if you are a follower of my blog you know I have been loving the Quilting Mysteries by Terri Thayer. The latest installment Monkey Wrench was released just yesterday. I was so happy to get a review copy! I was even happier when Terri said “yes” to guest posting here today. 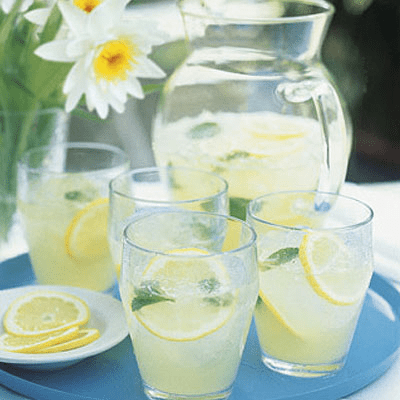 So pull up a chair and help yourself to some virtual lemonade and help me welcome Terri to Escape With Dollycas. Welcome Terri! We are so glad you are here! Thank you Lori for inviting me. “Get a gang.” That’s one of my favorite quotes on how to be happy from one of my favorite authors, Kurt Vonnegut. I was reminded of how true that is while visiting Colorado. I have been here for a month at my mother’s place while she recovers from a broken hip. To get out of the house one day, I attended a meeting of the Quaking Aspen Quilt Guild as a visitor. Immediately, I felt right at home. Here was a gang of people just like me. Who loved the challenge of turning an idea, fabric and thread into a beautiful object. Who liked to talk sewing machines. Who thought spending hours and hours on a quilt project was normal. More than normal, necessary. At home, I have plenty of gangs. My writing critique group. My book club. My out-to-lunch friends. My quilting buddies. My walking friends. Gangs keep my goals on track, inspire me with their writing or quilting, make me laugh. Laughing cures everything. Dewey Pellicano, my protagonist in the Quilting Mystery series, found her gang on the most unlikely place, at Quilter Paradiso, the quilt shop she inherited from her mother. She was nearly thirty and had never quilted. That was her mother’s gig, not hers. To her surprise, she loved the quilters she met. Pearl and Ina gave her the mothering she was missing. Vangie and Ursula help her out with the business end. Her regular customers inspire and entertain her. And make her laugh. Gangs can spring up in the most unlikely places. The Internet is a wonderful place to connect with like-minded folks. Sites like Dollycas’ provide us a place to mingle with others who love mysteries. In our outdoor life, the library, the coffee shop, the gym, even the produce aisle of the grocery store can help us link up with people we admire and want to spend time with. So follow Kurt’s—and mine—advice and get a gang. Tell me about the gangs you already belong to. to win my new book, Monkey Wrench. Thank you so much Terri!!!! I hope you will visit often! It would be wonderful to have you as part of my gang!! 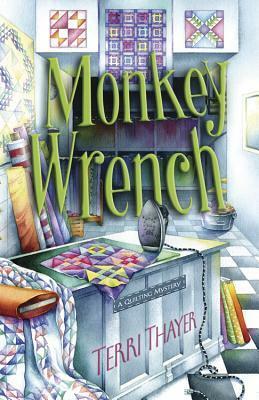 Terri Thayer is the author of seven mystery novels, including the latest Quilting Mystery, Monkey Wrench. She also wrote the Stamping Sisters Mysteries for Berkley/Penguin. 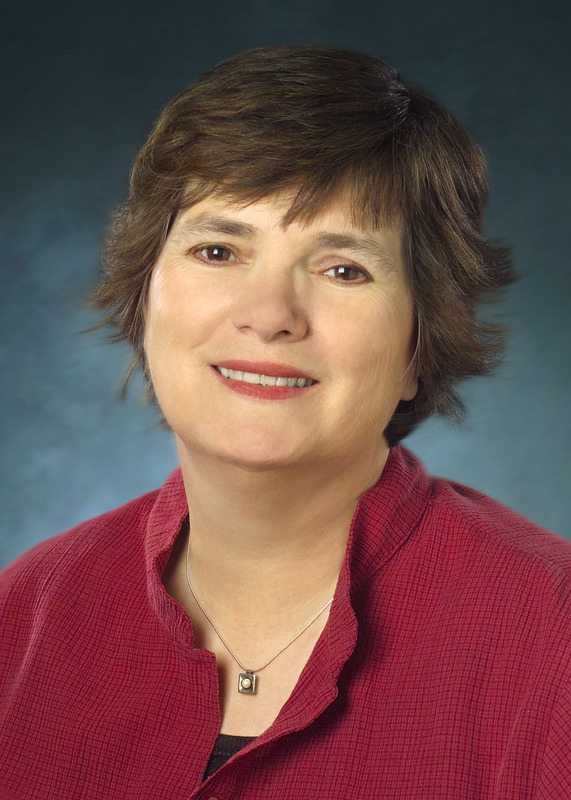 You can find her at the web on Facebook (Terri Thayer, author) or Twitter @territhayer. Listen to an April 25th interview at Creative Mojo with Mark Lipiniski at http://www.toginet.com/shows/creativemojo. 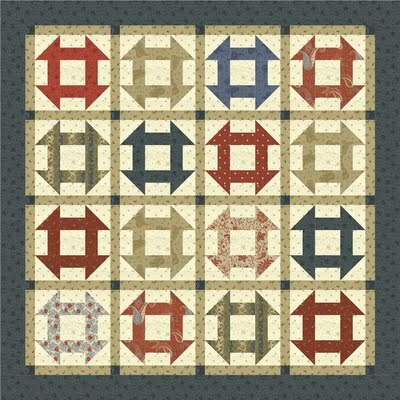 Visit her website, http://www.territhayer.com to find out more about her unique serial Block of the Month, Tales of the Quilt Shop and Sugarplums. Published by Llewellyn Worldwide Ltd.
It’s time for the annual Quilter’s Crawl and this year Quilters Paradiso (QP) is back on the map as part of the crawl. Over the weekend quilters will travel to 12 different quilt shops in the area for special bargains and prizes. Vangie from QP has even set up a Twitter promotion to help boost sales. Getting everything set up and organized has been quite hectic as Vangie has college classes to work around and a new boyfriend. The store’s long time teacher Pearl is starting to fail a bit so she is not as much help as Dewey was hoping she would be. Dewey will work day and night with her few available employees to make sure everything is just right. While picking up more maps for the Crawl Dewey learns of a program at the college that places young men with elderly women call “Grand Son”. They help around the house, run errands, help with medications. She thinks this maybe just the thing to help Pearl get back to where she was and teaching classes again. Just days before the Crawl a riot breaks out on campus as law enforcement tries to crack down on the drug problem at the collage and Vangie’s new boyfriends dies from an overdose. As if that’s not enough, one of the Twitter promotions sets off a stampede and a customer is killed. These events have all put a huge Monkey Wrench into Dewey’s weekend plans. Now she has to untangle the clues and piece them back together to save her store and herself and her friends. Terri packs her pages with drama, humor, a little romance and some wild characters. We were introduced to quite a group in this edition. All the shop owners for all the Quilter’s Crawl stores, one leader very set in her ways, a few of her followers stuck in the past and not open to new ideas and a few that have wanted to evolve but not had enough courage to buck the leader. Add Dewey to the mix and watch the sparks fly. Things don’t go exactly as planned but the group pushes forward together. They become quite a gang. I hope next year’s Quilter’s Crawl is a big success hopefully without the dead bodies. With the crew you just never know. I love that Freddy has a shop near QP and was integral in the story. I even enjoyed Kym in a small dose as she steps in to help at the shop. Anyone that has ever remodeled anything will enjoy Dewey putting her brother through the paces to get a bathroom ready and operational before the big event. 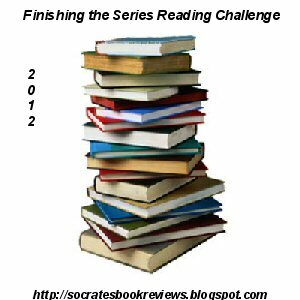 The characters in these stories have become old friends, some I like more that others but they are all entertaining. The happenings at Quilters Paridiso are sometimes a long way from Paradise but I have enjoyed every single visit more than the last. I am looking forward to my next trip to California already. Terri is giving away a copy of Monkey Wrench (A Quilting Mystery) in a very easy giveaway! Answer her question above in the comment section and one comment will win! I just moved so have been finding new friends by joining gangs. So far I have a joined a book club and a genealogy club. The only gangs I belong to are Facebook, Twitter, Blogging, etc. My current gang is a group of women from my church and some of their friends in the community. I was new to the church about 8 months ago and they have taken me right in. I just went on a girls weekend with them and feel like I have always been a part of them. Imagine 9 women together and we laughed, shopped, enjoyed cocktails and complimented each other (we did plenty of gossiping too, but we were sweet to each other), I came back feeling like super-woman. My mother loved to quilt, and belonged to a Church quilting club (gang) that made quilts for those who couldn’t afford to buy them. I have my family gang, the most important one!! I also have a few book club gangs, FB gang, and recently found a Pinterest gang, and have a walking gang. I am fortunate to belong to a few “gangs” comprised of women I have known for my entire life. We walked to grammar school and high school together, were in each other’s weddings, parented our kids together, and now that the kids are big, we read books together, among other things. I have been fortunate to travel with 3 of my friends and we plan on taking more trips together. You know you have true friends when you can spend a week at a hotel with them in complete comfort and relaxation mode, absent stress or tension, with everyone getting along & enjoying each other’s company! The Awesome Gang of Three. My wife, myself and our dog Shadow. We take on all comers. Well, I guess I belong to “gangs” on Facebook, Twitter and Google+. Other than that, I pretty much just work. Unless you call my family a “gang”, should that be the case, we “hang out” daily. Looking forward to reading the book, it sounds great! I don’t know if we would define ourselves as a gang, more like a mob. LOL I love to read, and found a group of like minded readers, bloggers and authors. 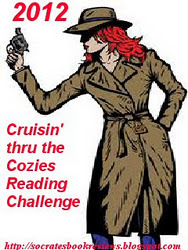 I’m a member of Pam James’ cozyarmchair group on Yahoo. I love hearing about all these gangs. Clearly, gangs come in all shapes and sizes. Even traveling mobs and families! Wherever you are in sync with someone, that’s a gang in my book. Thanks for stopping by! I appreciate you joining my gang. Some of my gangs are on line. I visit book sites and there is Twitter and Facebook. My other gang hangs out at the senior center. We take exercise classes, watch movies and play cards. I belong to Facebook and I love to read book review blogs and subscribe to probably about 10 at least. I love finding new authors and reading reviews of books! I have my golf gang and my animal gang. We tend to be passionate about both. The only gangs I belong to now are mainly on Facebook, those that play certain games and those that love cozy Mysteries, also to a couple of cruise loving gangs. I love what Facebook has done for our gangs. I’m in touch with people from all eras and aspects of my life. I love hearing what people are up to, what they’re reading. Is everyone on Goodreads, too? I have a group of friends including my sister-in-law who all get together to play cards. We love to play Wizard and Euchre. It’s a lot of fun. Thanks for the chance to win this book! Thanks for the opportunity to win this book! I love books about Quilting and needecraft! I know that Wellsboro Business & Professional Women would not consider themselves as a gang nor would the Mansfield Women’s Club who just had a picnic which ended with rain. I am proud to call myself a Phantom Friend which means I love Judy Bolton Books, I am also a Nancy Drew Sleuth, a trekkie and part of the East Coast Floating Art Show Crew – at least at Philadelphia area conventions. Then there is a gang of us who get together and Act Up by reading out loud – it is a great gang and changes all the time – this gang just celebrated it’s 10 anniversary. I’m not the gang kind of person. The only gang I hang with is a gang of dogs. They keep me sane most of the time. The gangs I hang with are all animal groups..lol. Dog obedience, dog walking, and of course the dog park..so many people and their dogs.. love it. Oh our book club Merlin’s Way!! I am not in any gangs but I am on facebook. The only gang I hang out with are my circle of great friends. My best gang is the one I have with my grown daughters. Now that they are all old enough to appreciate all that I went thru to get them thru adolesence, we can be more friends than ever. They are excellent support for me when needed and can offer helpful (?) suggestions for make up and clothing when needed. We call ourselves the “down home” gang! These are great examples of gangs! Four legged ones, daughters, cyber friends. Whatever works. Whatever gives you a sense of connection to the world and allows you to express your best self. I love hearing about your gangs. I hope you enjoy reading about Dewey’s! I belong to several gangs….this site for one…facebook,blogs,library,and etc.I would love to read this book…sounds great.Thanks. FB, blogs and family! Email keeps me connected with friends and family gangs. Thanks for commenting. The internet can really keep us in touch. Samantha, I’d like to know more about your coworkers! My “gangs” are mostly on Facebook & yahoo groups for cozies, food, travel & genealogy. Your books are so much fun. Thanks for the giveaway. I hope I’m not too late. I have a Ladies book club gang a church and the rest of my gangs would be online book friends, like Dollycas/Lori! I love monkeys so I love the title! My pleasure, Stacie and Martha! I have more strange diseases but haven’t joined more because my hands are full. With the support groups, we help each other by providing support and information and sending hugs when needed. A group of mom’s that meet for kids play at the park date, a group at my local library and my closest friends who meet once a month for coffee. Thanks for the giveaway! So looking forward to Monkey Wrench and Dewey’s further adventures! I am an aspiring writer, so my current gangs mostly revolve around that. But I also belong to a gang called Needlers, where we meet for tea, gossip and whatever kind of project we are each working on. I moved away from the town where I belonged to a quilt guild, and haven’t gotten around to joining here. Will have to do that soon. Gangs rock! I am not really a gang person. But I do belong to Facebook and Twitter. The closest thing I have to a gang is my extended family members. This book sounds great, and I’d love to read it. I love Terri’s quilt mysteries—I’m so happy there is a new one out to read!! Gosh, this gets me thinking…I need more gangs in my life! Thanks Cindy! Join the guild. You’ll meet lots of great people. Hi Anita. Facebook gangs count! Nice to hear from you. Thanks, Lyn. I’m happy to know you’re already a fan. Always room for one more gang! I have to admit that I am a pretty solitary person with the exception of my hubs and son and I work out of my home what seems at times incredibly long hours and while connecting with other parents and friends I have met and shared with over the years, there is not always the time. My saving gang has been the book blogging community and author friends I have met through this community. It has been an awesome experience finding so many folks who enjoy one of the things I love most in life – a really good book, as well as it and its author’s journey to fruition of this treat. Yes that is my gang and what a delightful group it is 🙂 Thank you for sharing. I hope your mother is well and send good thoughts. Thanks, Denise. It’s always interesting to hear how others cope with working from home. Can be a lonely business. I’m glad you’ve found this delightful group, as you say. Thanks for the well wishes for my mother. She is doing better every day. For me it is mostly my church friends. We associate with each other weekly, and throughout the week as we run into each other at school and other local events. Church is a good place to find a gang. I’m glad you found yours! Love that image, mama bunny! You’re the leader of the pack, for sure! I am in a few gangs. Pinterest, Facebook, Twitter, and my email! The gang I hang out with at bingo every week for the last 20 years. I enjoy my friends & family on facebook, IowaStateGasprices.com & paperbackswap.com where I have friends who enjoy the same books I do. We read & swap books so others can enjoy them when we’re finished. My favorite gang is my husband, 2 kids & their spouses & 2 beautiful grandkids who are 1½ & 2 yrs old. They are the best gang ever! That’s plenty, Stephanie. I still haven’t ventured into Pinterest. Thanks for commenting. Sounds like you’ve go the gang thing, down, Barbara. Well done!